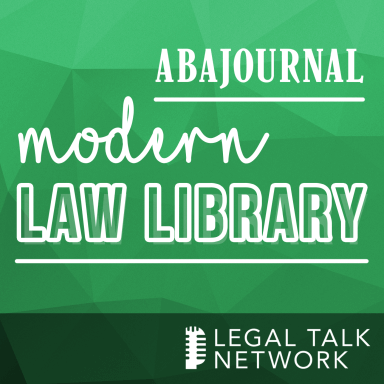 ABA Journal: Modern Law Library is a 2016 Lisagor Award-winning podcast featuring top legal authors and discussions of interesting legal theories and historical events. Join Lee Rawles each month to review a legal publication on ABA Journal: Modern Law Library. Cara Robertson talks about the evidence from the Lizzie Borden crime scene, the differences between her trial and what we might see in a similar case today, and why each generation seems to have a different take on Lizzie Borden. Kenneth Imo talks about how firms can develop a more diverse and inclusive workforce; improve the legal profession; and creatively tackle the problems at hand. Dave Cullen discusses his new book, “Parkland,” and how the Parkland students he met were able to create the impact they have in the year since the tragedy at their school. Heidi Brown talks about honoring yourself, affirming what’s true and embracing the blush. 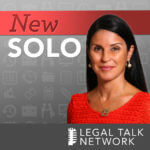 Stewart Levine talks about how to engage in self-reflection, and how to implement more positive habits, self-care and collaboration into the often-stressful lawyer lifestyle. Three judges share their own stories in their book “Tough Cases: Judges Tell the Stories of Some of the Hardest Decisions They’ve Ever Made." Darren Heitner talks about the latest edition of his book, how to pursue a career in sports law and some of today’s hot topics in college and professional athletics. Ken Starr talks about his book "Contempt: A Memoir of the Clinton Investigation," which unveiled the salacious details of President Bill Clinton's affair with former White House intern Monica Lewinsky. Katie Watson talks about her book, “Scarlet A: The Ethics, Law & Politics of Ordinary Abortion”, and discusses ways to have productive conversation about abortion. Kathryne M. Young talks about her book, How to Be Sort of Happy in Law School, which talks about what alumni would advise their younger self and how to get along with your fellow students. Jeremy Richter on why he decided to channel energy into blogging during the early years of his practice as an insurance litigator. What would it mean to impeach a president? Joshua Matz discusses his book "To End a Presidency: The Power of Impeachment" and why he believes that the partisan use of impeachment rhetoric over the past 40 years has not been positive for U.S. democracy. 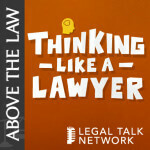 In this special episode, the ABA Journal’s Lee Rawles speaks with Lisa Scottoline, C.E. Tobisman and Scott Turow about their nominated books, their creative processes, and the role they believe lawyers play in society. Amy Werbel explains how Comstock’s religious fervor and backing by wealthy New York society members led to a raft of harsh federal and state censorship laws. Victor Li explains how Nixon leveraged his time at Nixon, Mudge, Rose, Guthrie & Alexander to resurrect both his political viability and the firm’s financial standing. Judge Bernice Donald and Sarah E. Redfield talk about Enhancing Justice: Reducing Bias, a book which Redfield edited and Donald contributed to. They discuss the latest research on bias, and give concrete tips for managing it. Tucker Carrington, author of "The Cadaver King and the Country Dentist: A True Story of Injustice in the American South," discusses flawed forensics, coroner system racism, and the effect these have on innocents. Jasmine Guillory tells the ABA Journal's Lee Rawles that writing served as a stress release from her legal work and functioned as her creative outlet. Mark Torres shares what the process of writing the children's book “Good Guy Jake” was like and why he feels it's necessary for kids to learn about the modern labor movement. Bryan Garner speaks about what gave him the confidence to ask a sitting Supreme Court justice to co-author two books, the four style issues he and Scalia were never able to agree on, and what it was like to write his first memoir. Jeffrey Vagle speaks about his new book discussing government surveillance and a seminal Supreme Court case in 1972, the effects of which are still felt today. Orly Lobel speaks about how an intellectual property dispute between the maker of Barbie and the creator of Bratz spun into a legal battle that would last more than a decade. Paul Butler discusses racial inequities built into the system and the way to fully address the harm done to civil rights by the criminal justice system. Will big data tools make policing less biased–or violate people’s rights? Andrew Guthrie Ferguson discusses data-driven surveillance technology, how it can be used and misused, and how implicit bias can taint results. What can we learn from the history of interracial relationships in America? Sheryll Cashin discusses how the concept of race was introduced in America and her book, "Loving: Interracial Intimacy in America and the Threat to White Supremacy." Kory Stamper talks about her work as a lexicographer and editor for Merriam-Webster. An interview with 2017 Harper Lee Prize for Legal Fiction finalists, Jodi Picoult, Graham Moore, and James Grippando. In this podcast episode, Richard Rothstein talks about his new book, The Color of Law: A Forgotten History of How Our Government Segregated America. Author of “Water Tossing Boulders: How a Family of Chinese Immigrants Led the First Fight to Desegregate Schools in the Jim Crow South” discusses this little known chapter of history. Amos Guiora discusses his new book, "The Crime of Complicity: The Bystander in the Holocaust" and addresses the bystander-victim relationship. Are prisoners’ civil rights being needlessly violated by long-term solitary confinement? Keramet Reiter, a University of California Irvine professor, discusses her book "23/7: Pelican Bay Prison and the Rise of Long-Term Solitary Confinement." What can neuroscience tell us about crime? Kevin Davis discusses his new book "The Brain Defense: Murder in Manhattan and the Dawn of Neuroscience in America's Courtrooms." The Hon. Alberto R. Gonzales, White House counsel and U.S. attorney general under President Bush, talks about his new memoir, "True Faith and Allegiance." 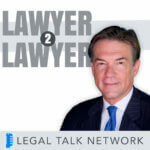 Florida attorney Larry Loftis discusses his book about Dusko Popov, the "real James Bond," and what he discovered while researching this incredible character. What can past presidential history teach us about today? Talmage Boston talks about historical context when judging a president's actions and what history tells us about the future of the Trump administration. Georgetown law professor Rosa Books shares the experiences she had in the U.S. government which led her to write her new book. Journalist Alison Flowers discusses her book and what efforts have been made to help the wrongfully convicted reconstruct lives for themselves.